The Type-25 Directed Energy Pistol, also known as the Plasma Pistol, is a Covenant infantry firearm, carried commonly by the smaller species, such as the Unggoy, Kig-yar, and the Yanme'e, as well as occasional sidearms for larger species such as the Sangheili and Jiralhanae. The Plasma Pistol is a Covenant Directed Energy Weapon reverse engineered from Forerunner technology that uses a weaponized variant of the fourth stage of matter Plasma to serve as a worthy weapon on the battlefield. The weapon is powered by a battery cell and uses a superheated form of Hydrogen Fluoride gas as a source of fuel. Before the plasma pistol can be fired, the user must place his or her thumb on the pad, which activates the weapon and prepares it for use. On the left side of the device is another small red button used to open the top heating vent, used to cool the weapon to prevent overheating and to allow access to the internal components of the weapon. The weapons convenient size and efficiency makes it a prime choice as a standard-issue for lower-ranking Covenant infantry such Unggoy, Kig-Yar and Yamne'e, but also is occasionally used by higher ranking species within the Covenant such as Ossoona Elites, or vehicle drivers, from time to time. It is the most commonly encountered Covenant energy weapon. Generally, two hits from either a Plasma Pistol or Plasma Rifle will kill a light or unarmored target such as a UNSC Marine. The T25 Pistol also has the ability to charge a single superheated bolt, which can instantly eliminate almost any form of energy shielding. The Plasma Pistol is a great close-to medium range weapon; but at longer ranges is all but useless save for a few lucky shots; but some users have also been known to effecively use the weapon at long range if the user fires slowly and aims carefully by leading the target. The Plasma Pistol, when fired continuously, or when an overcharged bolt is fired, will overheat because of the rapid cycling, loading, ignition, and release sequence of energy. To prevent the weapon from being damaged, the Type-25 DEP temporarily shuts down and opens a cooling vent to allow the excess heat to dissipate before the weapon reactivates. This process leaves the weapon temporarily inoperable. Infantry who are not aware of the function of the Plasma Pistol can get killed because of this. The Type-25 Directed Energy Rifle, more commonly known as the Plasma Rifle, is a Covenant infantry weapon. The Plasma Rifle is a Covenant directed energy weapon reverse engineered from forerunner technology that uses a superheated ionized gas called Plasma instead of projectile ammunition. Unlike the Plasma Pistol, the plasma rifle is capable of semi-automatic and full automatic fire; this is thanks in part to its dual plasma collimator design. Placed atop one another, these collimators fire in a "stagger" taking the slow automatic fire of each individual collimator and combining it, this design allows a faster rate of fire and more rounds per second, which adds to the lethality of the weapon. Taking fire from the Type-25 DER can cause severe second, third, and in some cases, fourth-degree burns (a fourth-degree burn completely burns away all flesh, leaving only bone tissue). The Type-25 DER is the primary weapon of the Covenant’s officer corps, used by Elites and Brutes, although Jackals, Grunts and higher ranking Drones have been seen using this weapon, but not as common. Against UNSC infantry, the Type-25 Rifle's lethality is considerably greater than its counterpart, the Type-25 Directed Energy Pistol, due to the faster rate of fire, injuries inflicted to the victim are severe third-degree burns, with the wound being cauterized instantly upon impact. The Plasma Rifle is a close to medium range weapon, and as such can inflict very high damage at range. The Plasma Rifle can also be used at long range if the user fires slowly and aims carefully by leading the target. The rifle is extremely efficient at killing "soft" targets, while doing lethal amounts of damage to a heavily armored target. Enough infantry equipped with Type-25 Rifles can halt enemy infantry advance with its ability to deliver harassing suppressive fire; this tactic is also reflected in the Covenant's combat doctrine: destroy enemy morale with harassing fire from distant or hidden snipers and intimate exposure to the alien-ness of their infantry. The Plasma Rifle, when fired continuously, overheats very quickly because of the rapid cycling, loading, ignition, and release sequence of energy; to prevent the weapon from being damaged, the Type-25 DER temporarily shuts down and opens heating vents to allow the excess heat to dissipate before the weapon reactivates. This process leaves the weapon inoperable and useless. Careless infantry who are not aware of the function of the Plasma Rifle can get themselves killed because of this. Human military experts and scientists do not understand how Covenant plasma weapons work, or how they are recharged; as such, when the battery is depleted, the rifle must be discarded or replaced. 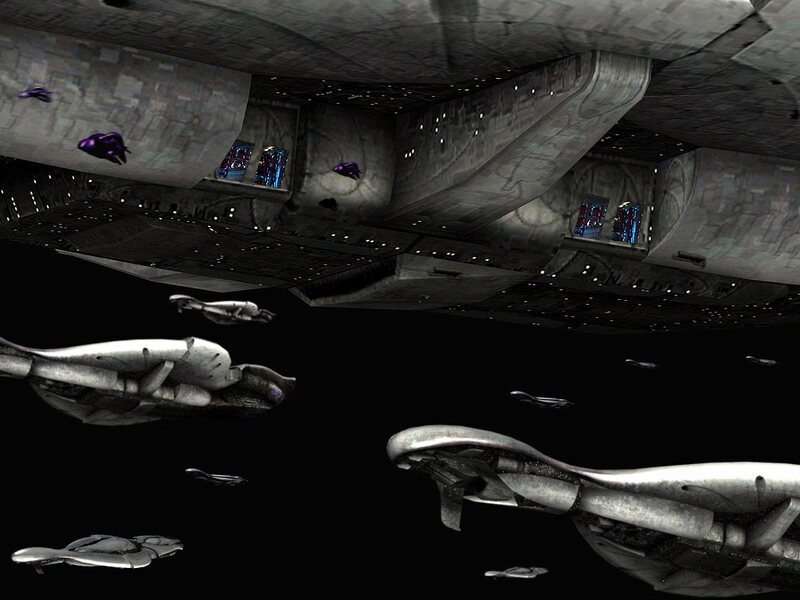 The Type-33 Guided Munitions Launcher, more commonly known as the Needler, is a Covenant infantry weapon. It is used by Elites, Grunts, Skirmishers and Jackals, and is sometimes used as a side arm by higher-ranking Elites. The Needler is a Covenant projectile weapon that fires long, sharp crystalline shards that are guided until they impale a target — hence the “needler” moniker. Several seconds after coming to rest in their target, the needles detonate, creating severe and in most cases fatal wounds. The needler's top plate has 14 holes, with the needles protruding out of the holes. When the trigger is pulled, the needle is fed from the top into the "barrel" of the weapon, and fired at high speed. The Type-33 GML is used by Covenant foot soldiers of nearly all types. Drones are also fond of this weapon, and their efficiency with it is high as their flying capabilities and large numbers make the needles harder to dodge. When the trigger is held down, the rate at which the 'needles' are fired increases. Razor-sharp crystalline projectiles are fired from this elaborately designed Covenant weapon; it is widely believed that these needles use heat or organic signatures to home in on targets, and may have some relation to the Plasma Grenade and the Plasma Pistol's charged shots, which also react to living tissue and Sentinel mechanics. The needles appear to have some sort of "identify-friend/foe" function, as they will home in on hostile targets but not allies of the wielder. Once fired, a needle will seek its target until impact, entering the victim's body violently. After several seconds, the contents of the crystalline shard will detonate; injuries inflicted from the exploding shard are gruesome, as microscopic pieces of shrapnel can become embedded in tissue. The Type-33, unlike other Covenant weapons, allows the user to aim at the closest target, fire and move on, as its homing ability allows its user to avoid being exposed to enemy fire while inflicting his own. The more needle shards that impact the target, the higher degree of damage it will do to the target, seven or more needle shards detonating at the same place will cause a massive explosion that will cause splash damage and cause shrapnel damage, which can also cause nearby explosives to detonate, giving the enemy another reason to run. The projectiles ricochet when they hit rigid surfaces at oblique angles and retain sufficient velocity, making dodging them a challenging feat. While the Type-33 GML is incredibly effective against most infantry, it is much less effective against vehicles. The crystalline projectiles are slow and ineffective to even light armor and will simply bounce off of them. The Needler is also limited to medium range combat situations and even at that range is not as effective, as the projectile travels it loses velocity and thus loses altitude, reducing the chances of impacting a target.